From blanket forts to tunneled tents, kids love having their own space to play. These play houses and furniture items are the perfect way to make any kids' play area more special, and according to retailers interviewed by TDmonthly, they're hot sellers, too. Not to be outdone by their parents, these new licensed T1 VW Camper Van Play Tents are just what every hip and happening kid needs this summer. Perfect indoors and outdoors, these new mini-me versions of the iconic 1965 Split Screen VW Camper Van are too cool for school. Available in light blue and baby pink, they are packaged in a stylish and easy to store VW Wheel bag. Each tent accommodates up to three children comfortably. — In a June 2014 survey, Dean Smith, owner of JaZams in Princeton, N.J., told TDmonthly that their best-selling play house is "a VW Camper Tent which is selling at a rate of about 10 per month." — In a June 2014 survey, Dean Smith, owner of JaZams in Princeton, N.J., told TDmonthly in a June 2015 survey that the VW Camper tent is their best-selling playhouse. It's show time! This wooden puppet theater has been designed with a sturdy, non-tip base and plenty of room inside for a puppeteer or two! The stylized theatrical graphics and plush, velvety curtains will inspire creativity and expression in any child. Including a clock with movable hands and a chalkboard panel for playbill information, it's a stage just awaiting imagination! — Bebe Feimster, owner of Big Smile Toys in Paoli, Pa., told TDmonthly in a June 2015 survey that Melissa and Doug’s Deluxe Puppet Theater is one of their best-selling furniture items. 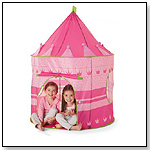 Your little princes and princesses will enjoy hours of fun while playing in the Kidoozie Royal Princess Playhouse. The Kidoozie Royal Princess Playhouse is easy to assemble and big enough to fit two or more little ones. With a front flap door and two mesh windows, the Kidoozie Royal Princess Playhouse is made of durable materials. A carry case is included with the Kidoozie Royal Princess Playhouse. — In a June 2014 survey, two out of 10 retailers told TDmonthly that the Kidoozie Royal Princess Play House from International Playthings was their best-selling play house. — In a June 2015 survey, three out of 10 retailers told TDmonthly that the Kidoozie Royal Princess Play House from International Playthings was their best-selling play house. Easy to assemble pirate’s den is generously sized to fit 2 or more little pirates. Flap front door, 2 mesh windows, sturdy material to withstand hours of play. Carry case included. — In a June 2015 survey, three out of 10 retailers told TDmonthly that the Kidoozie Pirate Den Play House from International Playthings was their best-selling play house. LA SIESTA Joki Outdoor hanging crow's nest is made of HamacTex® (polypropylene). This fibre is weatherproof, fast-drying and surprisingly similar to cotton in look and touch. 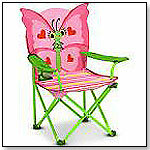 The large, soft seat cushion (filling: polyester) can be removed. In hanging crow's nest Joki children find the calm protection they need for playing and dreaming. Soft swinging stimulates the sense of balance, thus playfully promoting your child's development. LA SIESTA hanging crow's nests are recommended by the German Federal Association for the Promotion of Posture and Physical Exercise. — In a June 2014 survey, Dean Smith, owner of JaZams in Princeton, N.J., told TDmonthly that their best-selling furniture is "Joki swings from La Siesta. We are selling about 20 per month." — Peg Scholtes, owner of Capitol Kids LTD in Madison, Wisc., told TDmonthly in a June 2015 survey that Joki from La Siesta is their best-selling furniture item. This 50.5" long by 34.5" wide by 20" tall solid hardwood table has a double-sided white melamine surface that is easy to clean and fantastic for puzzles, Play-Doh, arts and crafts. In addition, the table comes with an easy to clean, light-weight plastic play mat with detailed digital graphics that include roads/trails, airstrips, trees, rocks, grass, beaches and water. The table railing includes a number of holes that allows for an expanding line of playtime accessories. This table is featured in specialty toys stores only, no mass market stores! It is also the only train/activity table that allows a child to sit with their legs comfortably under the table! Its the number one table in the specialty market! — “We have Nilo play tables,” Chuck Harper, owner of Explorations Inc. in Granger, Ind., told TDmonthly when asked about his best-selling children's furniture in May 2009. ― Three of 48 retailers surveyed in May 2010 listed Nilo as their best-selling furniture item. Let your little ones imagination run wild with our New "Enchanted Forest Tee Pee" Playhouse. This enormous almost 5 foot tall by almost 4- foot square Tee Pee is large enough for the entire tribe. Made of durable 100% Cotton Canvas, the easy to set-up TeePee can be used indoors. The bright walls feature interesting designs and there is an easy access opening as well as a mesh window for ventilation purposes. The "Enchanted Forest Tee Pee" playhouse features a Cotton Canvas floor for extra comfort and wooden poles for easy assembly and extra durability. Tie back dual front doors add to the hours of fun. The Tee Pee comes in its very own carry bag for easy storage. Princess Rosalina Play Tent by HABA USA/HABERMAASS CORP.
Rosalina and her friends welcome you to an afternoon tea party at their brand new castle! What a lovely space for your child's imagination to run wild. Measuring 35 1/2" L x 20 3/4" W x 43 1/2" H, this tent will fit great in just about any playroom. Children will adore the vibrantly-colored and nicely detailed scene depicted on the outside of the tent! Tent material is made of polyester and frame is made of plastic rods, making both setting up, putting away and storage a quick breeze.